Hillgrove i Dingle, Irland: Bestill nå! 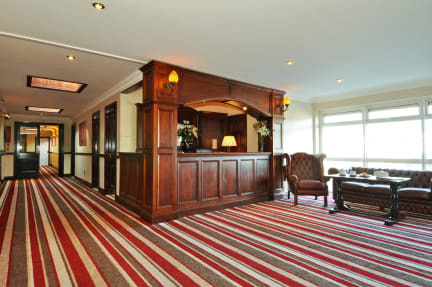 A warm Welcome awaits you at the Hillgrove Guesthouse at the heart of the beautiful town of Dingle. Just 100 metres from the town centre and at the foot of the scenic ‘Conor Pass’, our premises offers rooms with en suite bathrooms, free Wi-Fi and free private car parking. There is a nightclub in the building which is open every Saturday and Bank Holiday Sunday Night. Located in Dingle Town, a three minute walk from the town centre. Directly across the road from The Dingle Brewing Company. All amenities in Dingle are within walking distance. 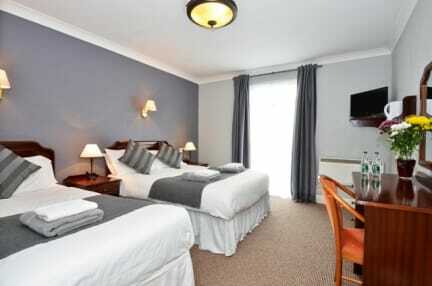 Each room at Hillgrove has flat screen satellite TV, tea and coffee making facilities. All the the en suite bathrooms include a bath, shower, and complimentary toiletries. All bedrooms are on the ground floor, are purpose built, and tastefully decorated. Property not suitable for pets.